Welcome home to The Villas of Mirada, a spectacular collection of luxurious single story homes. Living at The Villas of Mirada assures your enjoyment of a private guard-gated residence and the enviable pleasure of resort-style privileges/services from the Ritz Carlton just steps from the community. 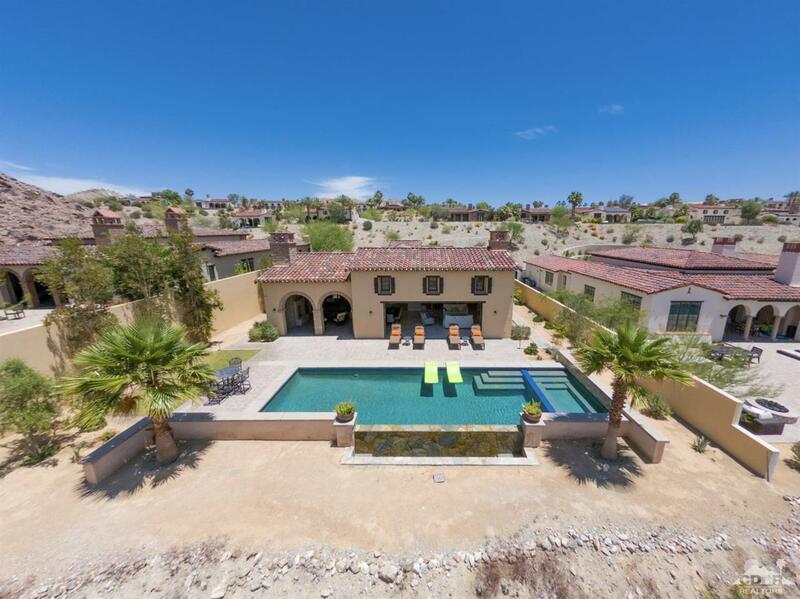 Your family & friends will enjoy gorgeous views of the Santa Rosa Mountains & down-valley lights from the private Entertainer's yard. Fire up the grill, take a dip in the infinity pool, or simply relax with a good book around the fireplace. Inside, the views continue through the walls of glass from the great room & kitchen. You'll appreciate the quality craftsmanship, the attention to detail of the finishes, & furnishings that have been customized for a contemporary feel. Close to world-class golf, tennis, dining, shopping, hiking, biking, the airport, and all that the desert has to offer. Cross Street Address Mirada Villas Dr.